I forgot to put the OJ in the photo (oops). Pour your wine into a large container. 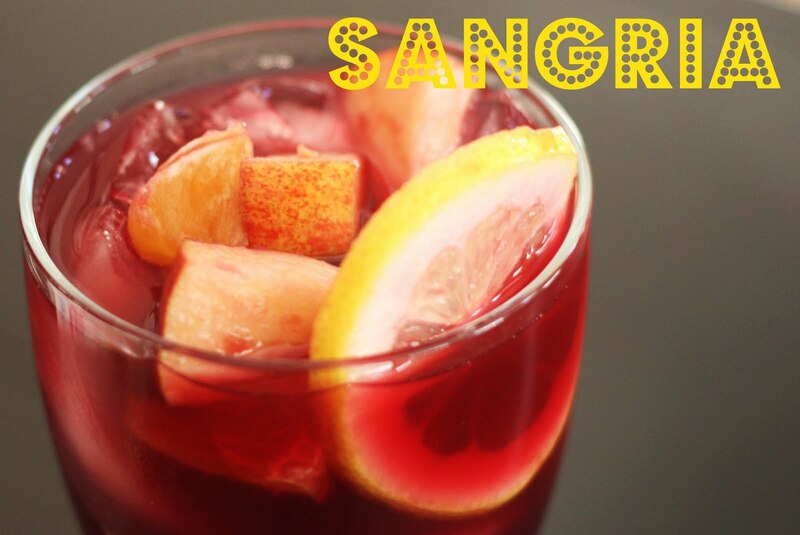 Serve in a wine glass and scoop out bits of fruit which have soaked up the drink! I'm thrilled to be given the opportunity to share a personal story and a wonderful cause Heart of Haiti. First, my story about a women, a friend, who helped me. About two years ago a friend who I had a small cottage home business with making personalized key chains was going through some personal things and had to step away from her part of the work, embroidering the ribbons for the key chains. I was in a panic but asked my friend Katharine, who I had only known for a several months, if she wanted to step in and she agreed. What a life saver! So we foraged ahead and still work together, two years later, Katharine embroiders and I sew, clamp and package the keys for shipping and delivery. We have helped walkers in the Susan G. Komen 3-Day raise money for their registration, local sports teams raise money to offset tournament expenses and most recently a girls club Esther Element raise money for a conference in the fall. It's a great partnership and we both benefit from the sales from the key chains sold!! Now for the Heart of Haiti. If you are looking for a handmade Mothers Day gift this year consider shopping with Macy's and their Heart of Haiti shop which also helps Haitian artisans support their families. Visit the complete shop featuring their amazing artists. Please enjoy a special discount code shown at the bottom of the post. The devastating earthquake of January 2010 has made it virtually impossible for Haitians to make a living. Raw materials have been wiped out; there are a lack of secure and sanitary conditions and little funding to support economic relief. Purchasing one of these handcrafted masterpieces directly benefits Haitian artisans by allowing them to support their families with dignity and purpose. Artisans receive 22 percent of the retail price for each item in the collection. This initiative offers the first sustainable income since the earthquake, enabling artisans to repair homes, pay school fees and feed and clothe their families. With steady income comes better nutrition, improved education and access to healthcare. Heart of Haiti also offers new opportunities for artists to collaborate with US designers, strengthening artisan associations and inspiring and energizing their communities. Men and women are working together, gaining confidence and hope for the future. Master artisans who planned to leave the country are now staying behind to train the next generation. The tradition of rich and unique Haitian art lives on...through the generosity of many like you. which endorses Blog With Integrity. All opinions are my own.